Last week, I attended the Nebraska Natural Legacy Project’s annual conference, which was terrific. 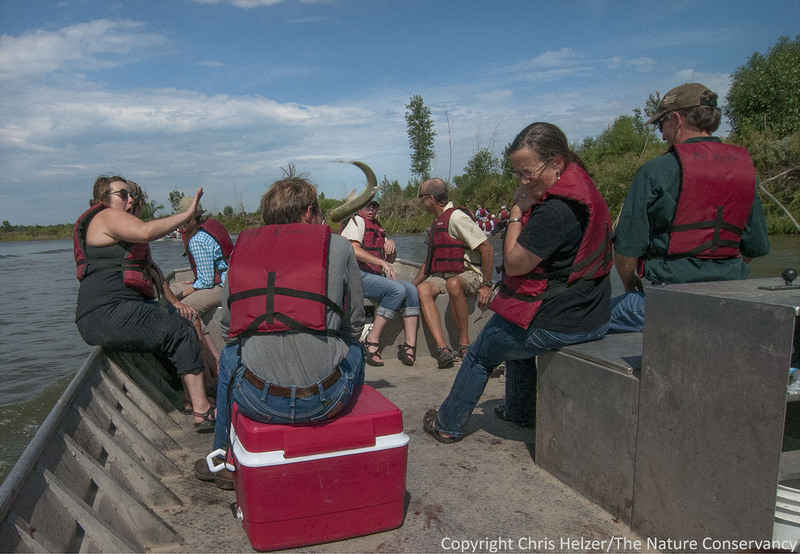 At the end of the conference, I had the chance to go on a boat tour of the Missouri River south of Nebraska City. 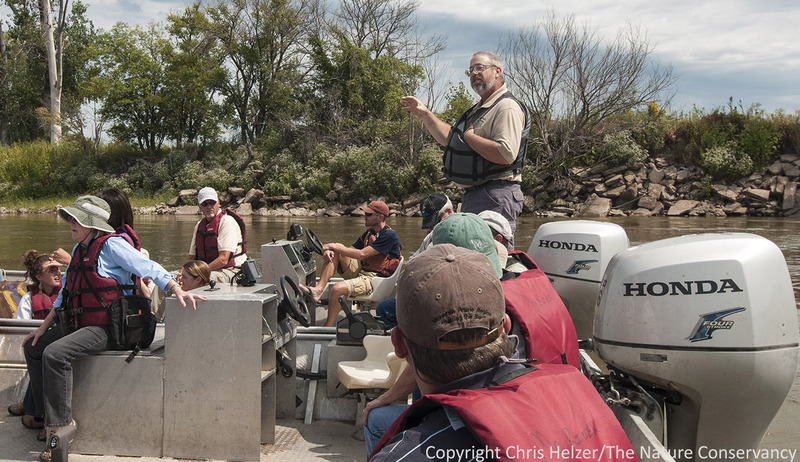 The tour was led by Gerald Mestl (Nebraska Game and Parks Commission) who did a great job of explaining both the history and current status of the river. 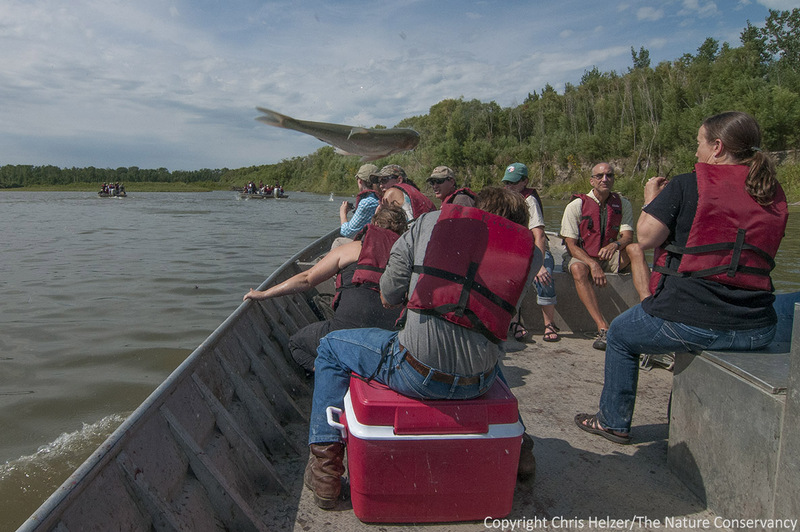 We also got to see examples of side channel and bank restoration efforts and hear about ongoing research and monitoring efforts on fish and other Missouri River species. I’d love to give you a full recap of the information Gerald gave us on the tour, but I honestly don’t remember much of it. 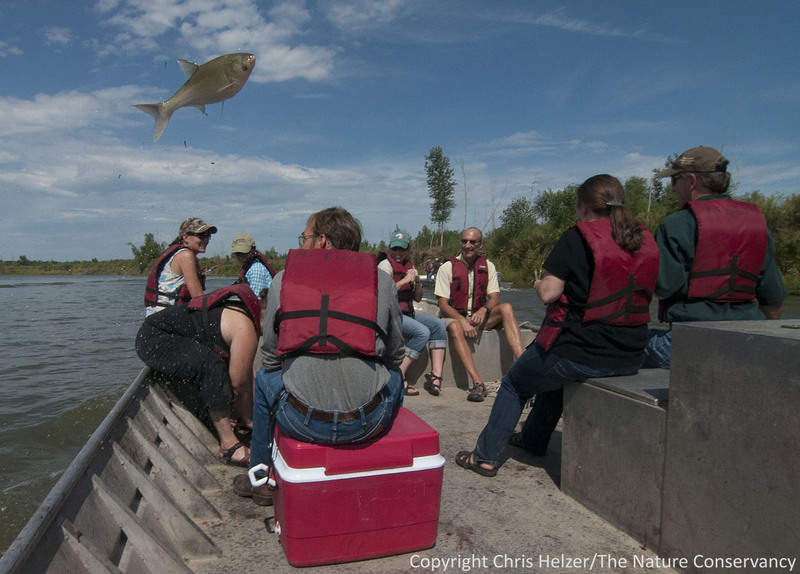 Unfortunately for Gerald, but to the great entertainment of those of us on the tour, our attention much of the boat trip was diverted by numerous flying carp. Yes, you read that correctly. 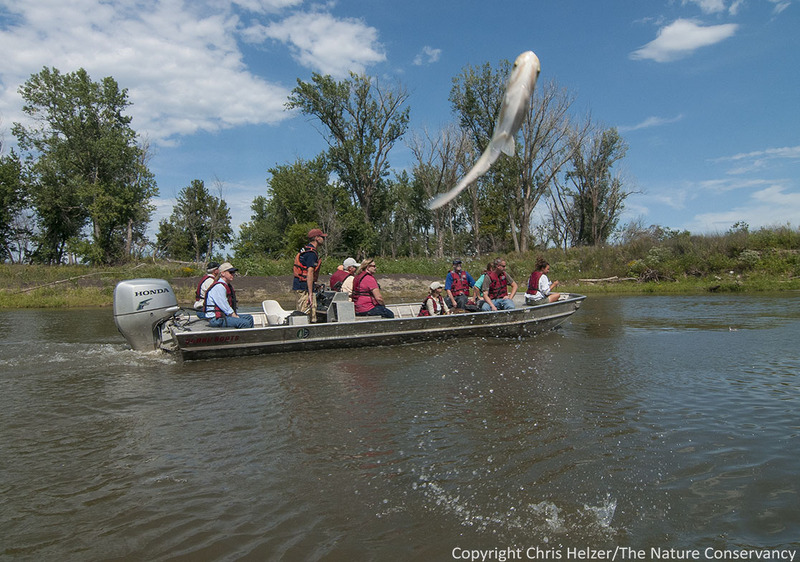 Asian carp, particularly silver carp, have invaded the stretch of the Missouri we were touring. 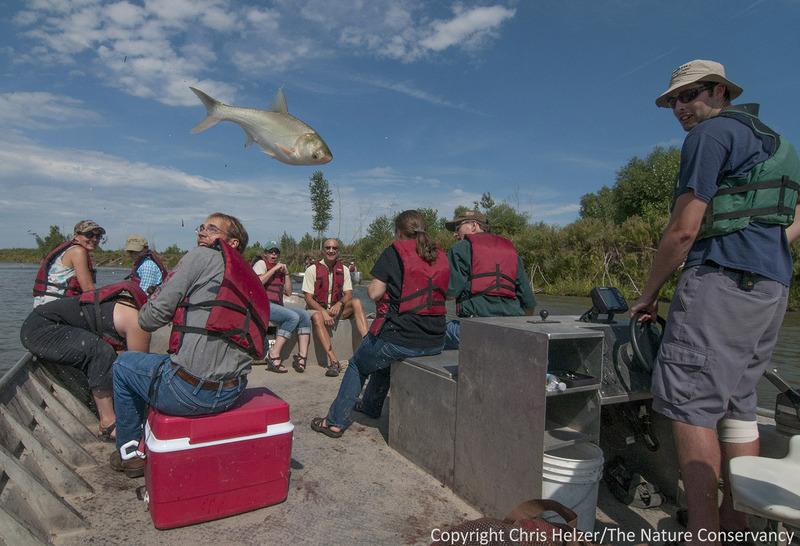 Silver carp are an invasive fish species that quickly become the dominant fish species in a lake or river (by biomass), though it’s not always clear what or how much negative impact they have on the ecosystem they invade. 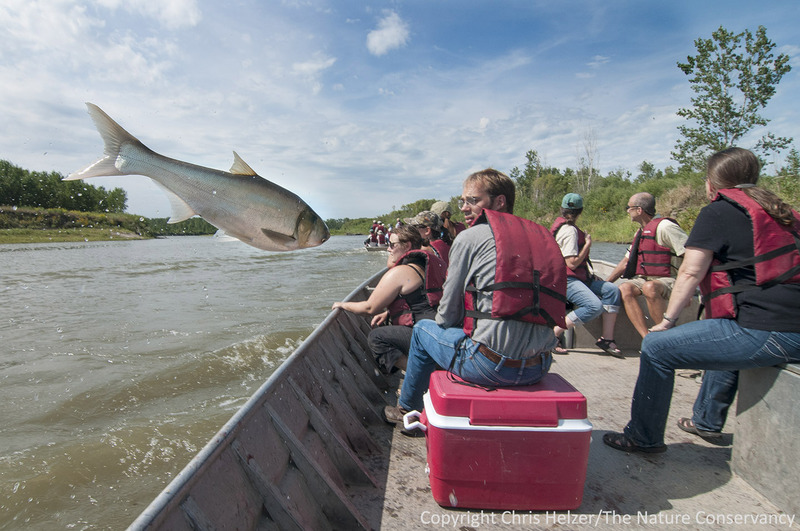 Because silver carp are plankton feeders, they probably compete most with other species utilizing that same food source, including many larval fishes, paddlefish, and freshwater mussels. 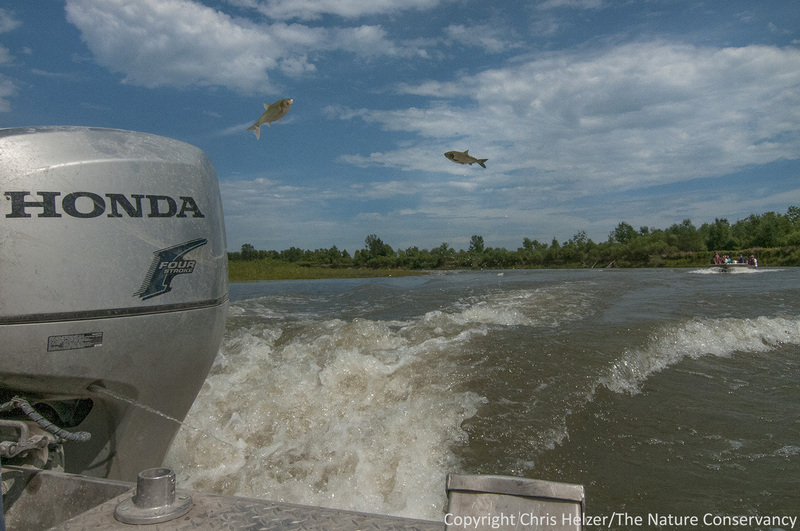 Gerald said that so far they’ve not seen any obvious impacts from the Asian carp invasion of the Missouri, with the possible exception that paddlefish weights seem to be less than they used to be. Of course, that doesn’t mean other impacts won’t arise as time goes by and more research is conducted. 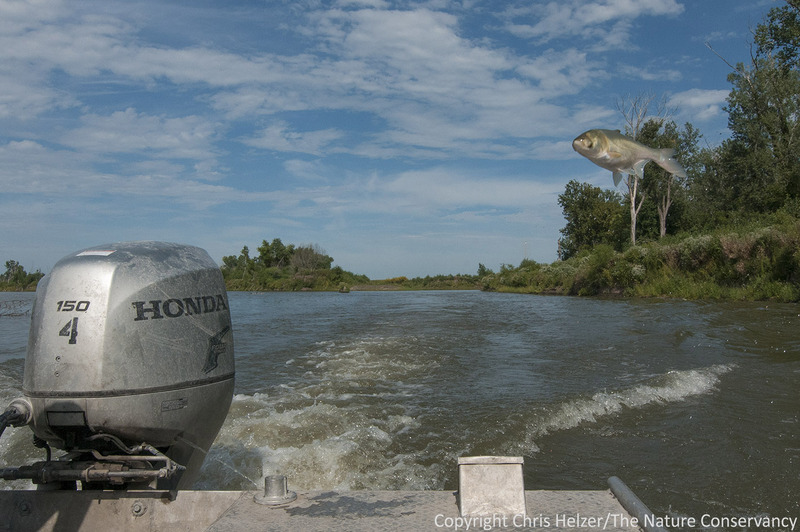 Unfortunately, once Asian carp become established, there doesn’t seem to be a way to remove them from an ecosystem. 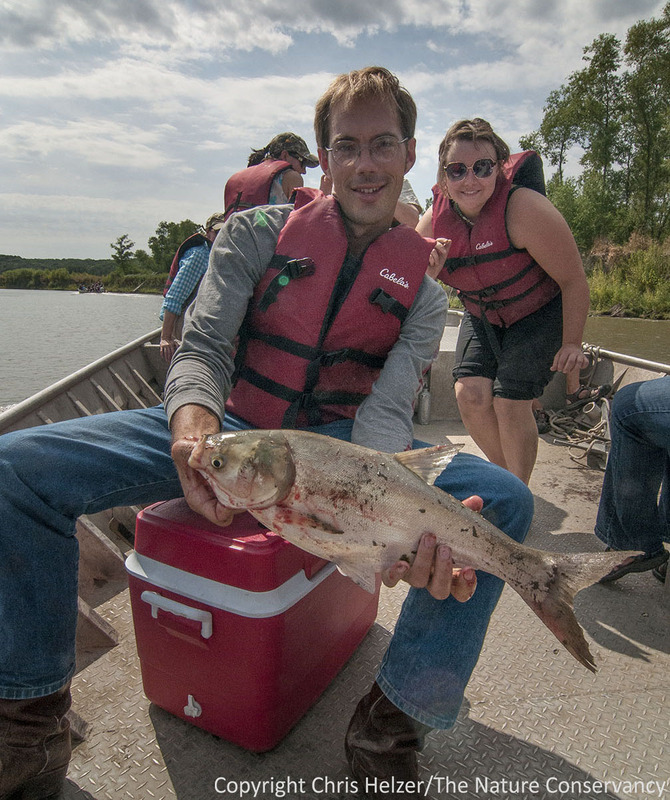 Nelson Winkel (The Nature Conservancy) holds one of the smaller silver carp that jumped into our boat while RaeAnn Powers looks on.